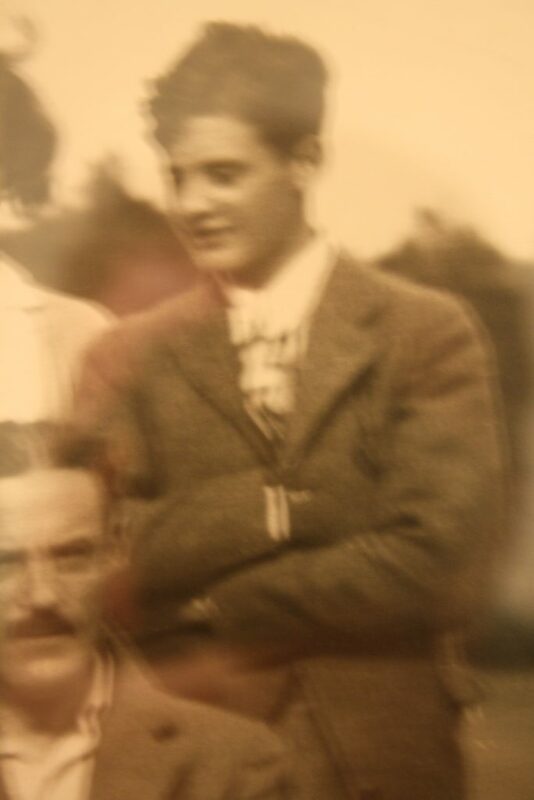 Julian Langley Smithers was born in Knockholt, Kent on 17th December 1915 and was educated at Eton. He entered the City when he went to work in his father’s stockbroking firm and he became a member of the Stock Exchange in early 1940. In 1938 Smithers had joined 601 Squadron, Auxiliary Air Force. He was called to full-time service on 24th August 1939. 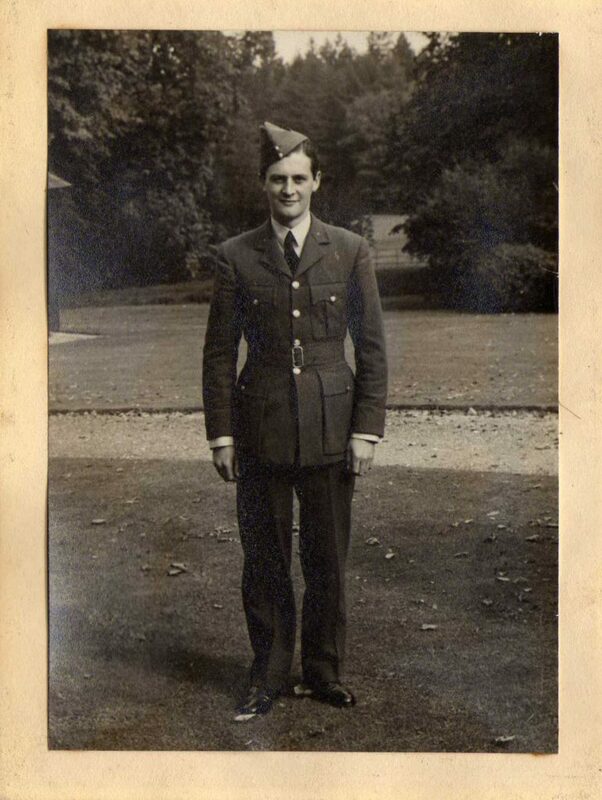 After completing his training Smithers arrived at 5 OTU Aston Down on 6th May 1940. He converted to Hurricanes and rejoined 601 in late May. 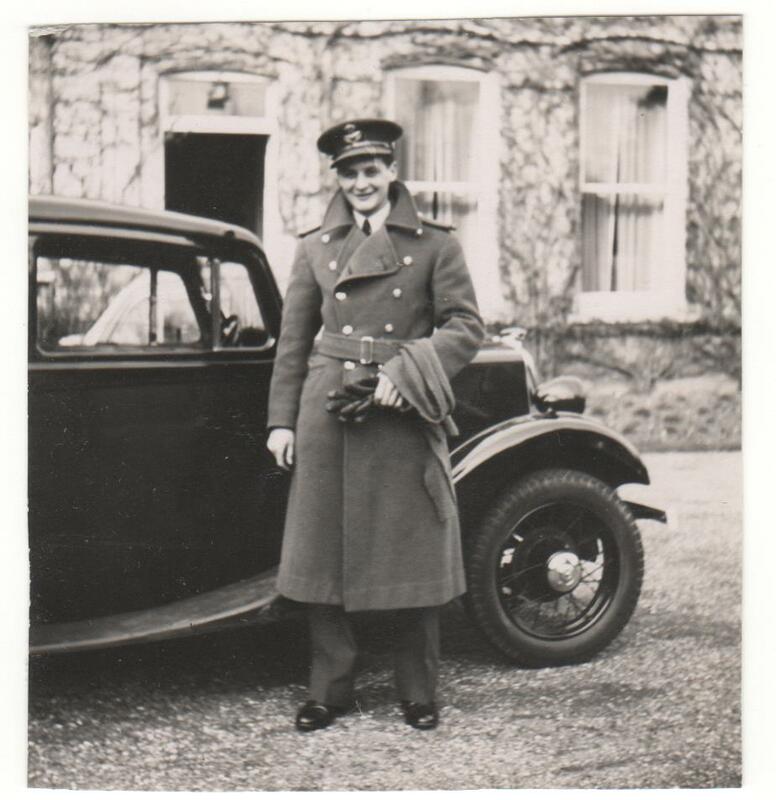 On 11th August he was shot down and killed during a combat off Portland and crashed into the sea, in Hurricane P3885. Smithers was 24. His body was washed up in France and he is buried in Sainte Marie Cemetery, Le Havre, France. His brother, 2/Lt. 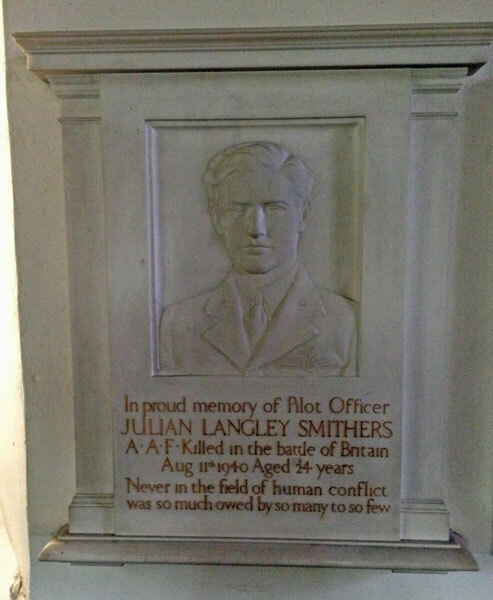 Alfred John Langley Smithers, was killed in action with the Inns of Court Regiment, Royal Armoured Corps on 25th November 1941 and is commemorated on the Alamein Memorial. Great portrait shot. An interesting sideline to this photo (and the one of Julian as a young man) is that a group of photographs was found by Cheryl Ludgate at a car boot sale. The images had been binned, found and were being sold. Tragic story of two brothers, both killed in the war and then the family just sort of fades from memory. Thankfully they were found are are lovingly cared for by Cheryl. Julian is commemorated by a plaque in St. Katherine’s Church.